America, he's only getting started. Like all savvy politicians, President Frank Underwood managed to briefly steal viewer's attention from the Golden Globes to launch his re-election campaign. 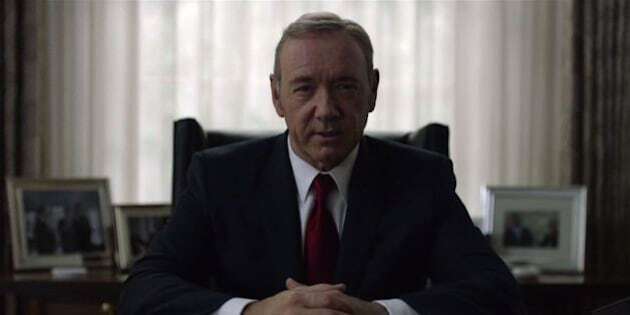 The new trailers for Season 4 shows Frank speaking directly to the to the American public about the leader they truly deserve, while we see glimpses of the trail of bodies he's left behind him in his quest for power. "They say we get the leaders we deserve," says Frank as he addresses the audience from behind his Oval Office desk. Prepare yourselves for a March House of Cards binge. Deep down, you know we're right.